Mouse adapter for Amiga, C64/128, VIC20, Atari ST/STe/Falcon, Atari 8bit, Amstrad CPC (only for joystick emulation mode) and Spectrum (with Kempston interface). Micromys V5 is available in two variants, one with a slim DB9 connector (as used on classic joysticks), and another with a standard DB9 connector with additional mounting screws. While the "slim" connector fits all computers, the bigger (WIDE) version with mounting screws will not fit computers like the Amiga 600, Atari 65XE, Atari 130XL, Atari 1200XL, Atari XEGS and Atari 260ST. Mouse adapter for Amiga, C64/128, VIC20, Atari ST/STe/Falcon, Atari 8bit, Amstrad CPC (only for joystick emulation mode) and Spectrum (with Kempston interface). Micromys V5 is the long-awaited successor to Micromys V4. 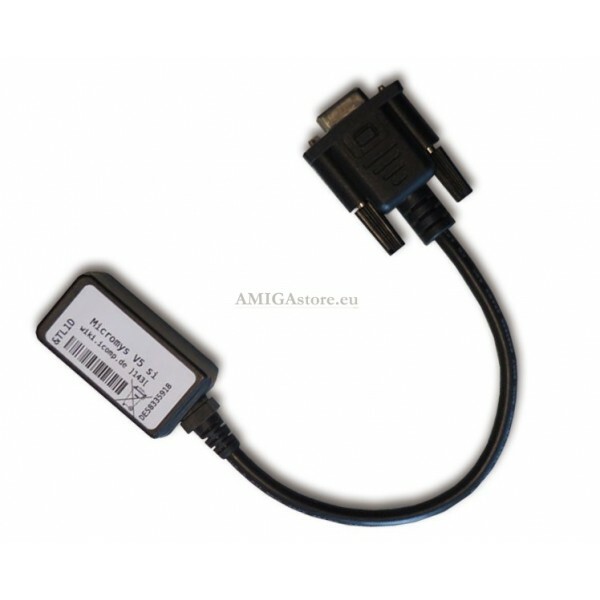 Our approach to a PS2 mouse adapter is now taken to more computers than before: Supporting Amiga, Atari ST/STe/Falcon, VIC-20 and the Atari 8-bit series with a total of nine different modes of operation, Micromys V5 is probably the most versatile mouse adapter on the market. Micromys V5 is available in two variants, one with a slim DB9 connector (as used on classic joysticks), and another with a standard DB9 connector with additional mounting screws. While the "slim" connector fits all computers, the bigger (WIDE) version with mounting screws will not fit computers like the Amiga 600, Atari 65XE, Atari 130XL, Atari 1200XL, Atari XEGS and Atari 260ST. The Commodorre 1351 proportional mouse has become the de-facto standard for a proportional mouse on the C64. Introduced with the GEOS operating system, it was quickly adopted by other programs. The popular music programs MSSIAH and Prophet64 work best in this mode. Micromys even adds to this standard by supporting the mouse wheel of a PS2 mouse. The Atari CX22 was the first of it's kind. Although games that support this trackball are rare, the experience of controlling the game with a PS2 trackball exactly the way it was meant to be is outstanding. While paddles are hard to find these days, emulating paddles with a mouse gives a whole new experience to games that are typically played with these rotary-type input devices: Our testers confirmed that Variants of the "Blockout" game feel very natural being played with a mouse. This early graphics tablet was initially made for the C64, but can also be connected to the VIC-20 and Atari 8-bit series. Programs that make use of this pad are so early that they could not have possibly been written for a proportional mouse. However, emulating this tablet with a mouse gives full proportional mouse support to these old programs. 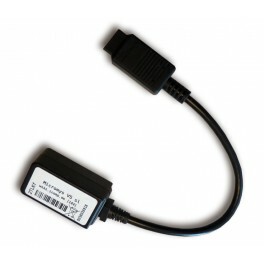 The NEOS mouse uses a fully digital interface, making it slightly cheaper than the original 1351 mouse. Some programs are exclusively written for this type of mouse, and with a small modification of the hardware, it was even possible to connect this to the VIC-20 without blocking parts of the keyboard. Micromys V5 also supports the NEOS mouse protocol, and even automatically makes required changes to the protocol if a VIC-20 computer is detected. Micromys V5 is available in two variants, one with a slim DB9 connector (as used on classic joysticks), and another with a standard DB9 connector with additional mounting screws. While the "slim" connector fits all computers, the bigger version with mounting screws will not fit computers like the Amiga 600, Atari 65XE, Atari 130XL, Atari 1200XL, Atari XEGS and Atari 260ST.